A sweet tooth is a powerful thing. Babies everywhere seem to smile when tasting sweetness for the first time, a trait inherited, perhaps, from our ancestors who foraged for sweet foods that were generally safer to eat than their bitter counterparts. But the “science of sweet” is only the beginning of a fascinating story, because it is not basic human need or simple biological impulse that prompts us to decorate elaborate wedding cakes, scoop ice cream into a cone, or drop sugar cubes into coffee. These are matters of culture and aesthetics, of history and society, and we might ask many other questions. Why do sweets feature so prominently in children’s literature? When was sugar called a spice? And how did chocolate evolve from an ancient drink to a modern candy bar? The Oxford Companion to Sugar and Sweets explores these questions and more through the collective knowledge of 265 expert contributors, from food historians to chemists, restaurateurs to cookbook writers, neuroscientists to pastry chefs. The Companion takes readers around the globe and throughout time, affording glimpses deep into the brain as well as stratospheric flights into the world of sugar-crafted fantasies. More than just a compendium of pastries, candies, ices, preserves, and confections, this reference work reveals how the human proclivity for sweet has brought richness to our language, our art, and, of course, our gastronomy. In nearly 600 entries, beginning with “à la mode” and ending with the Italian trifle known as “zuppa inglese,” the Companion traces sugar’s journey from a rare luxury to a ubiquitous commodity. In between, readers will learn about numerous sweeteners (as well-known as agave nectar and as obscure as castoreum, or beaver extract), the evolution of the dessert course, the production of chocolate, and the neurological, psychological, and cultural responses to sweetness. The Companion also delves into the darker side of sugar, from its ties to colonialism and slavery to its addictive qualities. 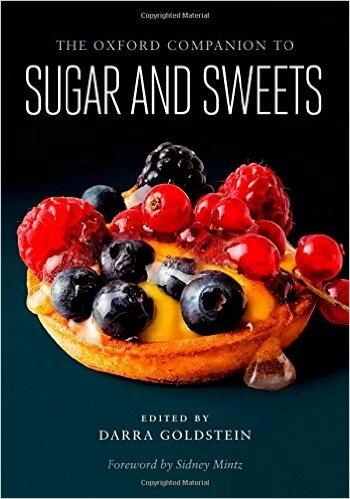 Celebrating sugar while acknowledging its complex history, The Oxford Companion to Sugar and Sweets is the definitive guide to one of humankind’s greatest sources of pleasure. Like kids in a candy shop, fans of sugar (and aren’t we all?) will enjoy perusing the wondrous variety to be found in this volume. The 3,000-year-old science of Ayurveda connects the food you cook and eat to the inner intelligence of your body. For twenty years Miriam Kasin Hospodar traveled between three continents, gathering recipes inspired by the age-old Eastern wisdom of Ayurveda. Heaven’s Banquet is the remarkable result of her culinary journey, a definitive sourcebook of healthful and delicious vegetarian cooking. 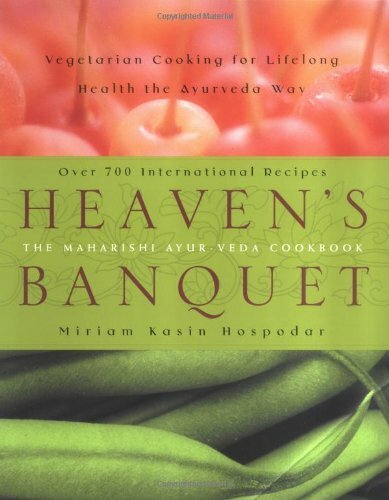 In more than 700 recipes and variations, Heaven’s Banquet draws from a rich palette of international cuisines and shows how to match your diet to you mind-body type for maximum health and well-being. Using recipes that have been tested in places ranging from a five-star Swiss hotel to a charcoal-filled pit in the Philippines, Hospodar brings us such exotic dishes as Thai Corn Fritters, Asian-Cajun Eggplant Gumbo, Persian-Style Millet with Dried Cherries, Moussaka, Scottish Shortbread, West African Avocado Mousse, and Mocha-Spice Cake with Coffee Cream Frosting. Her recipes will appeal to everyone from the beginning cook to the experienced chef. But Heaven’s Banquet is more than a cookbook. It is an invaluable guide to a holistic lifestyle that will enhance your entire life as it balances your mind, soul, and body. You’ll discover the most effective methods of preparing food, the benefits of eating seasonally for your type, and how to create a diet tailored to your entire family. A special feature of Heaven’s Banquet is its dessert section, which features egg-free cakes, cookies, and puddings. There are also special sections on how to lose weight and control sugar sensitivity, a detailed questionnaire to help you determine your mind-body type, and essential ingredients for a well-stocked Ayurvedic kitchen. Timeless and timely, Heaven’s Banquet shows you how to use food to tap into your body’s intelligence to create lifelong health. 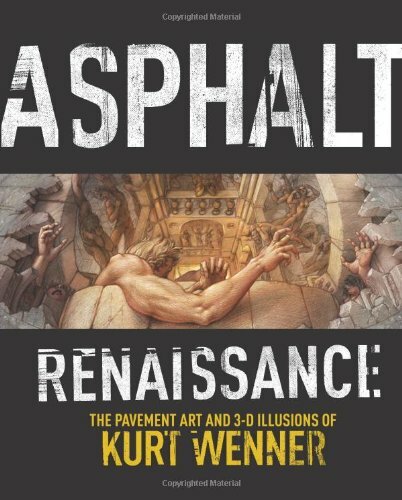 “Making a street painting is a lot like constructing a sand castle: while working on one part, another part is eroding… Street painting is a constant reminder that art is about process rather than product.” — Kurt Wenner ASPHALT RENAISSANCE brilliantly recounts the creation of 3D pavement art by innovative artist and Internet sensation Kurt Wenner. Wenner revolutionized this ancient art by inventing a unique technique that produces astounding 3D images that appear to reach out of the pavement toward the viewer and seem perilously deep. Featuring photographs of hundreds of his paintings, this volume spans Wenner’s career and captures his thoughts on art and the ephemeral nature of his work. Includes a free poster! 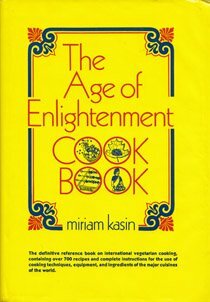 The definitive reference book on international vegetarian cooking, containing over 700 recipes and complete instructions for the use of cooking techniques, equipment, and ingredients of the major cuisines of the world.